Friday Favorites...and a Giveaway Winner! Hey guys!! Holy Crow-ly! We are sooo excited about how excited you guys are about "Art Journaling with Jenny & Aaron"!! ahhhh!! It's going to be so so fun!! It looks as though we'll have peeps from all over the globe journaling their hearts out right along side us! I swear I couldn't even sleep last night thinking about it all! Aaron and I worked ALL day yesterday on "stuff" for the series. We know that it is going to be a big commitment, but we are so ready for just that...a commitment to sharing our artistic process with you guys week after week isn't exactly "hard labor". Well, it will certainly be hard work...but we know that the work will be very rewarding. Art is all about give and take...we'll give give you as much knowledge and experience as we can spare...and in return we'll take from you guys more inspiration than can be quantified. So...Thank You! Remember to start gathering your supplies, Thursday's class will be here before we know it!! As I type this up, Aaron and I have some things laid out for a fun crafty DIY that will go hand in hand with our journaling. I'll be sharing it all on Saturday, so check back if you'd like. So yep...it's Friday...with that said... Here are some Friday Favorites! The bright bubble gum pink of this pullover above is something I'd totes wear "Back to School". I adore Fall weather and this would be the very first thing I add to my chilly September wardrobe. I love the journal-y looking writing...and GOLD, you know I LOVE me some GOLD! and umm yeah...speaking of GOLD...I can't even handle these shoes! Ahhh they are fantastic! A bit pricey...but oh man, these paired with all black and maybe a black and white geometric scarf...yes! 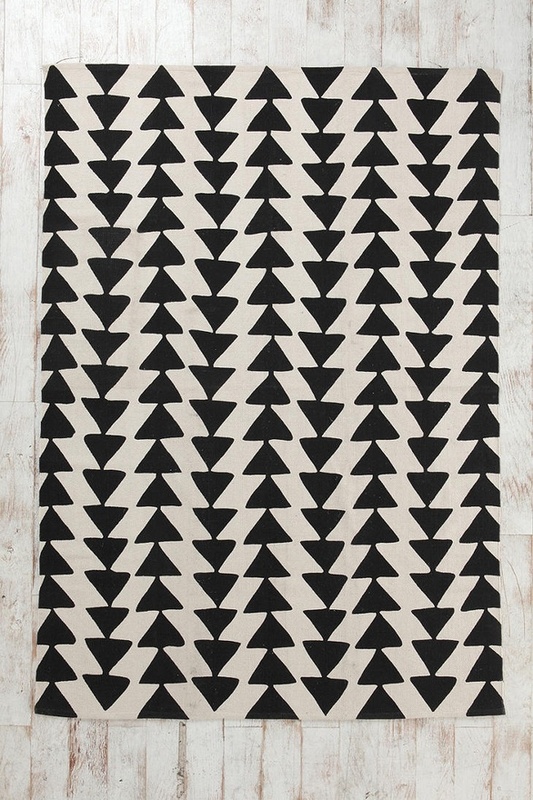 This rug may be just what we are missing in our studio. 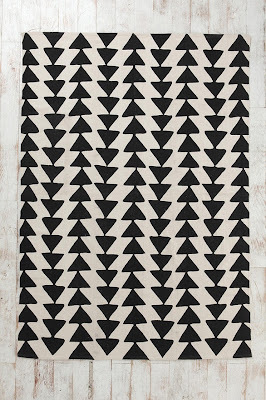 Little area rugs are a great way to pull some of your fave patterns around the room...and dress up an otherwise dull floor. This is on the weekend to-do list. I'm pretty sure that when I came across it on Pinterest I made some crazy noise. I then called Aaron into the room so that he could listen to me read the entire recipe out loud...I mean, what could he have possibly been doing in the other room that was more important than this?! Guys...it sounds so so good! 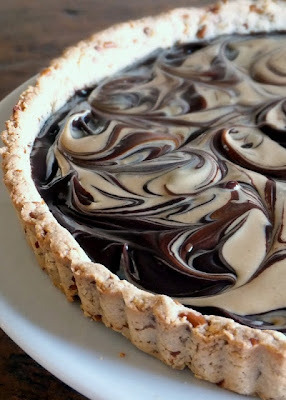 "Sweet and Salty Pretzel Tart with Chocolate Ganache and Peanut butter Swirl"...That's what I'm talking about! And Lime Crime nail polish!! Yes! I've been meaning to declare these a favorite of mine for some time now. Aubrey blogged these two sweet shades and now I must must order some for myself. Ok, and now for the WINNER of July's Fabulous Giveaway! Natalea, I'll be contacting you and our Fabulous Sponsors asap! Congrats! 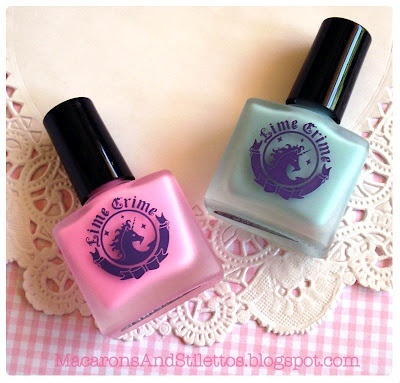 Oh my gosh, I am just dying to have that nail polish set too! Oh WOW!! What a way to make my morning and weekend! Here I was just sitting at my computer, wiped out before work even started and now I see this and I'm all perked up!! Thank you!! I am so THRILLED to have won such awesome stuff!! YAY!!! I am in love with that sweatshirt and HUGE congrats to your winner!!! that tart..... oh my goodness. Uhhhh buuuuuuuuu I need those gold shoes. Dangit. Thanks for linking to my blog! I love your DIY ideas on this site.